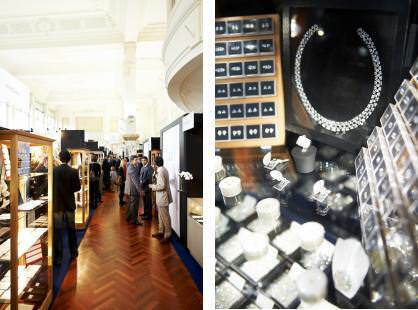 With less than three months to go until the third edition of the Antwerp Diamond Fair opens its doors on January 29, 2012, some 100 buyers have already secured their slots for the exclusive by-invitation-only diamond trade fair. The event will again be held in the trading halls of Antwerp’s two oldest bourses, the Antwerp Diamond Bourse and the Diamond Club of Antwerp. Thierry Polakiewicz, the ADTF organisers committee’s spokesman, stated that the number of requests for invitations to the fair was increasing daily. "During the past months, we have been able to generate a lot of interest for the Fair among companies in Europe, the Middle East and Asia. Flyers promoting the fair were distributed at the booths of the Antwerp World Centre and HRD Antwerp at trade shows in Mumbai, India; Vicenza, Italy; and most recently in Hong Kong. At the same time, our strategic partners in the Middle East are advancing the fair in countries such as Lebanon, Saudi Arabia and other countries in the region," Polakiewicz noted. Confirmed visitors are from England, Germany, Finland, France, Italy, Lebanon, Luxemburg, Norway, Poland, Russia, Scotland, Spain, Switzerland, Turkey, Ukraine and the United Arab Emirates. Jean Claude Loustau, of Les Diamants de Navarre company, of Pau, in the South-West of France, will be attending the fair for the third time. "I have not missed any of the fairs yet," Loustau enthused. "The choice and the sheer amount of diamonds on offer are truly unique. As a jeweller who specialises in estate jewellery, I am always looking for old-cut diamonds that will allow us to restore estate pieces. I’ve found that I can always find what I am looking for in Antwerp." Allessandro Giansanti of E. Giansanti & Co., a jewellery manufacturer and retailer from Rome, is one of the invited buyers who confirmed his attendance at the upcoming fair. "This will be my first visit to Antwerp and this is something I have been waiting to do for a long time. The fair is a perfect fit and I am looking forward to meeting the fair’s exhibitors and to securing new suppliers for our company’s diamond needs," Giansanti said. Michael Hall, of Michael Hall Jewellers in Derby,UK, said he had been to Antwerp many time before. "We buy high-end diamonds, with high colours and clarities and therefore Antwerp is a regular destination for us. The invitation to visit the fair enables us to make lots of new contacts and to help us locate and source goods in one single location," Hall stated.